Ed Miliband said advertisers have a "responsibility" to address the portrayal of women in advertising last night, after claiming that we face a "crisis of representation" of women and men in our culture. 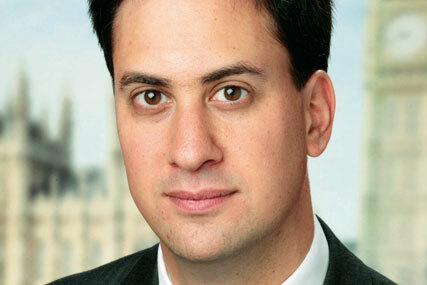 Miliband was speaking in front of 300 advertising, marketing and media executives at the Savoy Hotel. The leader of the Labour Party praised the ad industry for leading the way in displaying 21st Century images of men and women but warned there was still much to do. Miliband said: We all know there are still too many images in our advertising that reflect outdated ideas about the role of men and women, boys and girls. "There are still too many adverts which do not show the modern world as it is – let alone as it should be." As Campaign predicted yesterday, Milband praised the ad industry for its support of female careers saying the "people in this room" were an example of where the industry has displayed 21st Century images of men and women. Wacl was founded in 1924, which was just five years after women got the vote. Ninety years later, Miliband said there are still "enormous problems in the representation of women", citing the fact that over three quarters of MPs and more than four fifths of the Collation Cabinet are men. After his speech Miliband took questions from the floor on topics ranging from Syria and UKIP, through to who would win out of him and David Cameron in a celebrity death match.